This cheerleader even got her own minions! But it seems to work with my current settings anyways. Asked at both, and the other site too. LOL! It's specifically the "purchase" in a Spa that isn't showing up. Can't buy a Fertility Massage in my game. Level 9 wellness on the Therapist. (TY SSI). BTW, I wasn't meaning to leave anybody else who posts answers here out when I said I was glad Bonxie is here and doing her thing. You're all wonderful at helping players, and I really appreciate that, however you put posts together to do it. But you've seen those posts of hers, they're amazing. Out of my league, for sure. Cheerleader is NOT that organized. LOL! Been to MTS lately, @itsug ? There's stuff. I even responded to a comment sent to me in those comments. Also, You mentioned over in MTS me getting inspired by Bonxie. You are wrong, I am nowhere NEAR @Bonxie s level of dedication in making awesome forum posts. Forgot the part about buying fertility massage. hmmms, that does seem to be gone. Dont take my word on it though, Im not a frequent visitor to spas, so not sure if they are supposed to be there, but I will have a look at a clean copy of the sims tomorrow. Sent you a PM here. Cool, just saw this, but time for work here. I'll look at it in the morning. Any volunteers for night shift? @egwarhammer Thanks! I am curious, still, though I started up my game earlier and played for a couple hours and while that neighbor is coming and going in her own apartment, she's staying out of mine (for the moment). The townie spawning process is something the game needs to work. So you always will have "some" in the game. 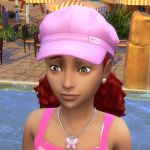 I'm carefully watching the townie number and in the first week of CL I saw the expected inital increase, but now spawning acitvity seems to be back to normal. Please note that there will be always one or two new townies per game session. It's the way the game works. But if you use MCCC spawning should be limited to those. The mechanics behind the automatism works with filters. Example: If your active sim goes to Granite Falls, the game needs a ranger. There are filters holding the parameters for those sims, which are mandatory in that particular situation. For the ranger the requirement could be e. g. level 6 in charisma and the "loves outdoors" trait (don't know in detail, but it doesn't matter). If there is no sim with those features the game will generate one. By default the selection by the game AI is pretty strict and mods like MCCC or Shimrod's add some flexibility. With these mods, it's possible to have played sims in the role and there is more variety in the parameters (like in the example of the ranger, a charisma level range from 5 to 9 instead of a fixed level). In respect of CL I might say that it's OK if the game spawns in the beginning new townies, for example the food stall vendors. In the end I assume that there is a need for about 10 to 20 new townies to fill the vacant new roles of the EP. Don't delete them, the only effect will be the spawning of new ones. You can edit them, as long as you only change the apperance. Don't edit the aspirations, traits or skills. As for the MCCC settings for reduced towie generating: according to your files your settings are fine. You have the setting "Population_UseCustom": true from MC Command Center > MC Population > Use Custom Population. This is everything you need. You could reduce the value "Population_MaximumHomeless": 10 down to 1 (one) in MC Command Center > MC Population > Population Settings > Maximum Homeless, but this does not affect the spawning of mandatory sims. I already set Maximum Homeless to 10. It's still creating a plum-ton of townies. Tomorrow, I'll post a .zip file with my new logs. Just finished (I hope) ditching some malware off my system. Did something not too bright last night, saw an "update" for something I had, I thought, but it turned out to be "something else"... and it brought half a dozen friends along, too. Pain in the rear, but, I think I got all of it. I detest browser hijackers. My settings are still off, but it's just themes and stuff. Other than font size (my eyes are bad at reading small print), the rest doesn't really matter. Just wanted to let you know I survived the night and am back online after a techy morning behind the scenes. here. Wild night at work, and I went in knowing I had computer fixing waiting at home... November is off to a rocking start! Seems like there's been something "different" happen every day or night so far. Catching up, making rounds, @Bonxie thanks for taking "night shift" (it was for me). 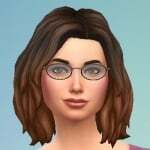 @lovejoyriteia @Bonxie is saying to change that setting to 1 (or you could do 0, if you're fine with no townie generation besides what the game deems necessary). Ten is the default setting. For me it's day shift - don't mention it. It's pretty calm in here if almost everybody is fast asleep. Mine's on 0 (Maximum Homeless). Report weirdness, and let's figure out how to disable or mitigate it, for now. Damage control phase. Next version will tie up loose ends. I haven't talked to him about it, that's just how he works. ...When they add new roles for the new expansions, I have to analyze them to try to determine if I need to make special code changes for the new expansion for MC Population to work correctly with all the new filters they add for those roles. That's the process that I've started going through this week. So far, I've had no issues, myself. Everyone that is getting generated is for a needed role. 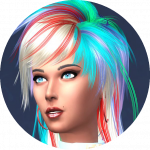 We have had other reports though of MANY homeless Sims being generated over-and-over again for a specific role. Most likely, users with those issues have population settings different than me so my settings won't show it happening. If you want to zip-up your mc_cmd_center.log (so I can see which filter is being generated over-and-over) and your mc_settings.cfg and post them here, It would probably help track things down for me a lot. Maybe there will be a functional change in the next MCCC update. Hi, need help with the dresser. I have a cc hat item for female that is showing up on males also. Previously I was able to adjust through Dresser (I think it was Dresser) that men wore no hats and that solved the problem. But with this update it reset alot of things to default and that hat is showing up on the men again but I can't find the Dresser option. Can someone tell me where I can that please? Might be called blacklisting or whitelisting..something like that maybe. Thanks! The dresser options for black and white listing of particular clothing items have to be executed within the command line (I love Linux: sudo apt-get update). It's not as easy as simple mouse clicking. I try to explain it step by step. Sorry, but it will sound a bit like rocket science. Please don't hesitate to ask if anything is unclear to you. Example: Victor Feng is a male sim living in the brandnew San Myshuno neighborhood and is wearing a ridiculous female hat with his everyday clothing and we want that hat never to be seen again on his or any other male sim. You can skip the first step "Howto make a list of Victor Feng's clothing". It's interessting but only for infromative reasons. Type the following command without the quotation marks: "dresser_info Victor Feng all"
There will be a return message: "Dresser info complete"
As the result you can find an output file named "Victor Feng_dresser.info" in your Mods folder. Type the following command without the quotation marks: "dresser_bl Victor Feng Hat E"
There will be a return message: "dresser_bl complete"
As the result you can find the following line in the mc_dresser.cfg file in your Mods folder: B.M.YA,0x0000000000013287,E. This line says decrypted: B(lacklist).M(ale).Y(oung)A(dult),<Internal ID of the hat>,E(veryday). Type the following command without the quotation marks: "dresser_clean Victor Feng"
There will be a return message: "dresser_clean complete"
As a result the hat is erased from Victor Feng's outfit. Now with every MC_Cleaner run, this hat will removed from a male sim's everyday outfit. Instead of Victor Feng you can of course use every existing Sim name, specified by FirstName LastName. If you are experienced in scripting, you can also edit the mc_dresser.cfg with the notepad. If you take the inventory list created with dresser_info for the object IDs and the syntax from the MCCC homepage it's much faster to edit than typing all the commands in the command line. After editing you have to restart the game to import the new cfg file. Once again: Please ask if you have any question. @Bonxie It worked but holy plum did they make it complicated LOL. I'm going to bookmark this b/c I WILL need it again. THANK YOU!! You are always welcome. I'm glad that it worked for you. "Reset defaults"? Did you put your before-update (from MC 2.16) mc_settings.cfg file and your mc_dresser.cfg file in your folder with the new 3.0.1 package and ts4script files? If you saved those, your settings should have stayed the same as before, overall. BTW, haven't seen you around for a while... happy for the fly by! Drop in more. As in, not just when you have problems. I like good news posts, too. Cheerleader's last night of RL work for the week is incoming. Tomorrow, week off starts. OMG am I READY!!!!!!!! what do you do? either i forgot or it got buried here somewhere. the one i'm not aloud to say is on the blue list but not computer. Make sure you have the updated version. It needs to be 10/30 also. Separate download, remember. Can you get to its page? If not, let me know. Cashier, 3rd shift. I usually see about 120 customers a night. Last night I saw 52 in an hour and a half, but, only 111 when the night was said and done. Very strange night, with the extra work hour added. Also, I got my flu shot. LOL! i live on the edge i figure if i get the flu the worst that will happen is i can't shop. i don't work except sunday.but since i shop monday and wednesday none of the other days matter. good luck in real life. 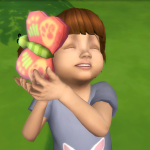 now that 15 of 16 mods work i need to try and get my generation 2 kids to teen. itsbeen 3 months. 15 of 16? What's being stubborn? If I could KEEP one game going, I'd be the slowest player ever anyway. Definitely feel you on the "3 months". LOL!! whoo. but considering i couldn't get any working that doesn't bother me.i just can't figure out why it showson my blue list but not game.